Below you fill find all funeral homes and cemeteries in or near Two Harbors. 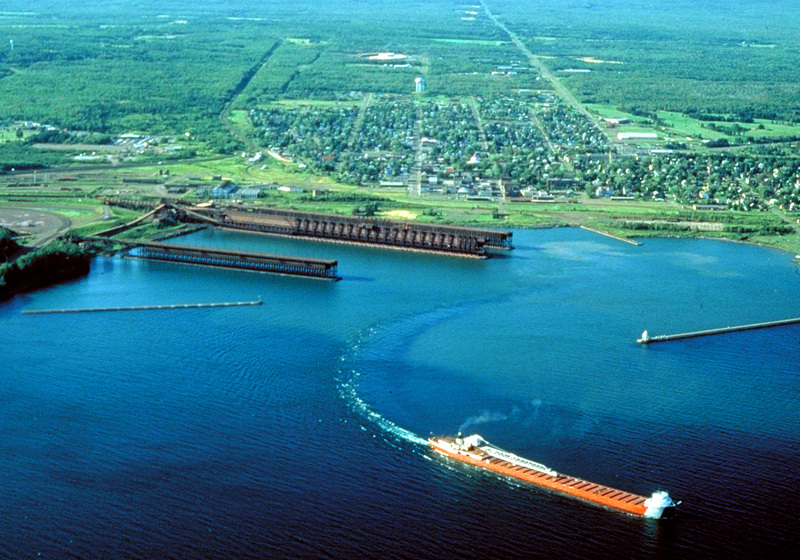 Two Harbors is also known as: Lake County / Two Harbors city. Zip codes in the city: 55616. Some of the notable people born here have been: Rhonda Britten (author and actor), and Sharon Erickson Ropes (registered nurse and legislator). Two Harbors is a city in and the county seat of Lake County, Minnesota, United States, along the shore of Lake Superior. The population was 3,745 at the 2010 census Minnesota Highway 61 serves as a main route in Two Harbors. Gooseberry Falls State Park is located 13 miles (21 km) to the northeast. It was disclosed by News & Observer on January 6th, 2019 that Ellen Louise Taylor (Christiansen) died in Raleigh, North Carolina. Ms. Taylor was 89 years old and was born in Two Harbors, MN. Send flowers to express your sympathy and honor Ellen Louise's life. It was written on May 12th, 2016 that Mitchel James "Mitch" Krause passed away in Two Harbors, Minnesota. Krause was 51 years old and was born in Chelsea, MA. Send flowers to express your sympathy and honor Mitchel James "Mitch"'s life. It was written by Tri-City Herald on September 24th, 2015 that Walter Raymond Norbeck passed away in Richland, Washington. Norbeck was 88 years old and was born in Two Harbors, MN. Send flowers to share your condolences and honor Walter Raymond's life. It was revealed by Orange County Register on March 3rd, 2015 that Jack A Mesna died in Costa Mesa, California. Mesna was 82 years old and was born in Two Harbors, MN. Send flowers to express your sorrow and honor Jack A's life. It was written by San Diego Union-Tribune on January 11th, 2014 that Suzanne Kathleen Piniol-Badger (Casey) passed away in Chula Vista, California. Ms. Piniol-Badger was 61 years old and was born in Two Harbors, MN. Send flowers to share your condolences and honor Suzanne Kathleen's life. It was noted by Mesabi Daily on February 24th, 2013 that Radosevich "Marg" Margaret (Lubina) passed away in Two Harbors, Minnesota. Ms. Margaret was 87 years old. Send flowers to express your sorrow and honor Radosevich "Marg"'s life. It was reported by Mesabi Daily on January 16th, 2013 that William E "Bill" Koski perished in Two Harbors, Minnesota. Koski was 90 years old. Send flowers to express your sorrow and honor William E "Bill"'s life. It was reported on November 24th, 2012 that Shirley Peterson perished in Two Harbors, Minnesota. Peterson was 65 years old. Send flowers to express your sorrow and honor Shirley's life. It was revealed on November 6th, 2012 that Ruth Caroline Swenson (Thompson) passed away in Two Harbors, Minnesota. Ms. Swenson was 90 years old and was born in Yorkville, IL. Send flowers to express your sympathy and honor Ruth Caroline's life. It was disclosed by Greeley Tribune on October 10th, 2012 that Brian Duane Bergerud died in Fort Collins, Colorado. Bergerud was 49 years old and was born in Two Harbors, MN. Send flowers to express your sympathy and honor Brian Duane's life.
. Two Harbors is a city in and the county seat of Lake County, Minnesota County, Minnesota, United States, along the shore of Lake Superior. The population was 3,613 at the United States Census, 2000 census. Whiskey Row consisted of 22 saloons, dance halls, dens, and brothels. It is assumed that most people were either squatters or they rented the land as there is only one transaction on record. Many murders occurred, but those responsible were never caught, and, for that matter, never looked for. The official website for the city of Two Harbors is http://www.twoharborsmn.gov/. Don was born and raised in Two Harbors and he went on to graduate from the University of Minnesota with a Masters in structural ... of family and friends at 10 a.m. at Wulff Woodbury Funeral Home, 2195 Woodlane Drive in Woodbury, (651) 738-9615.
and Clear Lake, S.D., before moving back to Northern Minnesota ... visits and prayers. FUNERAL MASS: 10 a.m. Saturday, Oct. 30, in St. Raphael's Catholic Church in Hermantown. Military burial following at Lakeview Cemetery in Two Harbors. Cavallin Funeral Home provides complete funeral services to the local community. We work with local florists and flower shops to offer same day delivery. You will find budget sympathy flowers in Two Harbors here. Our funeral flowers are cheap in price but not in value.